​Hello young Americans. We gather today to speak of our nation’s corruption. As many years have gone by our society and government have strayed away from the path our fore fathers paved for us. We have become greedy and shallow by the way we run our lives. In fact a majority of Americans know nothing of what goes on in our nation because they are too occupied with their own lives to care. This benefits the government in ways that allow them too much control over the way our country is run. That has made us look like ignorant, greedy, idiots in the eyes of other nations and has put us on the verge of economic collapse. Today I speak a truth that will not only expose the government and society, but also open your eyes to what needs to be done. ​In our nation we are made to believe that the individual is only a number. We are made to believe that we cannot make a difference. The media does this by bombarding us with propaganda they want us to believe or buy. In this nation our media makes it seem like we have one of two choices: greed or greedy. For example they never mention how Jill Stein and Gary Johnson were banned from the presidential debate because they would out do Obama and Romney and I’m pretty sure not many of you knew about them. Well why don’t we ever hear about these candidates? Power. The republican and democratic parties want nothing but power. They control the media to such a point that you never hear about a third party. When has this ever passed as just? Also in our nation the Federal Reserve (a group of bankers) make an abundant amount of money by putting America into further bankruptcy. These bankers do this by printing money with no backing (gold or silver profit) and convincing our government that it is the right way to go. The Federal Reserve prints trillions of bills that in return devalues the dollar. This causes the price of a two dollar gallon of milk four dollars. Another reason why America is on the verge of depression is because all of our jobs are going to companies in China and other countries across the globe. In this very nation politicians are allowed to lie to the American people without repercussions in order to get our vote. These are only a few of the many corruptions that live in our government. When will we take a stand? We allow liars into our government and then wonder why we are facing these problems today. ​Our government knows of everything they do; yet none of it ever registers as wrong in their eyes. Our government seethes lies and corruption like a rabid dog foams at the mouth. They slyly slip away from what is right and seek to take more power to fuel their insanity. Now they threaten to remove our right to bear arms. When will we act? Our government has shown their inability to lead our country so it is our time as American citizens to regain that ability. The Constitution clearly states that if the government becomes too powerful we have the duty to take away that power by any means necessary. Why do you think we were given the freedom of speech or the right to bear arms? It was not only to be free, it was to be able to regulate and protect ourselves from the government. When they threaten to take those rights away they threaten our power and freewill. We must keep this from happening at any cost. Or face the consequences of not doing so. Over time our generation has been trained to look for the easy way out, but there is no easy way out here. It is time to shake that lazy habit and become courageous individuals. The American people are suffering so it is time to make a change. The youth make the future so let us change it for the better. Today is the day that we will bring justice and purity into our nation. Our time is now. If we do not act now then no one will act ever. If we remain silent we shall remain silent forever. So let us speak against our oppressor. Let us speak in the name of America and the faith in which it was founded on. When we speak in union we speak in truth and power. No longer can we be blind when it is the light that we seek so speak out. Do not be afraid fellow piers. Martin Luther King Jr. once said “Faith is taking the first step even when you don’t see the whole staircase”. Let join arms and take that first step of faith unafraid of what lies in front of us. We speak and act out of the truth. Truth prevails through every test, through every darkness, and through every lie. Friends, we will be tested; we will face darkness, and we already live in lies, but do not give up hope. It is victory we seek and victory we shall get. I already see our perseverance leading us to victory. I dream of a nation that lives by truth and justice. I dream that unity and purity will spread through this nation and its people, and that we will once again be known as America the free. We will stride forward with eyes wide open in our pursuit for equality, truth, freedom, and happiness. I will not stop nor will I rest until I see this dream become a reality. We the people will no longer live blindly because I have a dream of bringing peace and truth in every crook of our nation, letting our victory flood the dry land of corruption bringing forth a bloom of goodness and prosperity to the hearts of America. Good morning World. What time is it? Is it time to go to work? Time to change? Time to make a diffrence? It is time to do whatever you want. Be spontaneous. Do something thrilling, or maybe something you would never normally do. Whatever it is do it! Studies show that a little bit of spontaneity relieves stress and helps sharpen your mind. If your most exciting part of the day is checking the mail when you get home I highly recommend this my friend. Now I’m not saying be stupid and spray paint your boss’ car. That’s so far from where i’m coming from. Maybe a little act of kindness to a neighbor or co-worker. Go the long way from work, or heck skip work that day if you really need to! Human beings were not meant to live out the same routine day after day. We were made to wonder. Have you ever looked at a massage parlor and said ,”I wonder how that feels?”, then told yourself I don’t have the time or money. Well make time and save up for it! Indulge in yourself. Eat too many chocolates every once in a while. One time of sweets won’t kill you or make you any fatter so stop telling yourself that. Go on that trip you always dreamed of but told yourself it could never be. Or get the number of that cute salesman/woman! Who knows, they could very well be the love of your life,and for you thrill seekers go skydiving or ride a really big roller coaster at a theme park. What I’m saying is live a little. Don’t let fear get in the way of doing something amazing. Think about it. 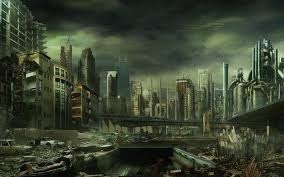 Will our world look like this one day? Good morning world and all who inhabit it! Today I’m thinking of sleep and ice cream. I wonder what it would be like to wake up without the sun rising. Would we be in awe? Would we appreciate the light we used to have. Maybe that’s something to think about. If something in your normal life was taken away how much will it be missed. It can be anything! Be spontaneous. It could be anything from toilet paper to your one love. Have a good day and see the world from a different perspective. Theres always a struggle between two forces. Any opinions? Today I was watching a documentary on Martin Luther King Jr. It is amazing how his voice fueled their struggle and left it legendary. One voice striked courage into the hearts of men and led them to their victory. 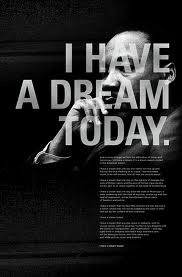 His dream for peace and equality conquered all despite of what was going on around him. One of the many things he expressed was, “Our lives begin to end the day we become silent about things that matter.” I believe this quote can be very much applied to today’s society. Not just in America but across the globe. In his memory I believe we should all try this. Reveal what matters and approach it with kindness instead of hate.